When it comes to desserts, ice cream, doughnuts and waffles have always been a favorite. But have you ever had them together? DoughCones Nitrogen Ice Cream in Temple Terrace has combined the desserts into a dream come true for any sweet tooth. Choose from either a dough cone covered in cinnamon sugar or a ‘puffle cone’, which is a homemade waffle shaped into a cone. "It’s really cool getting to see how they make their ice cream with the frozen nitrogen shooting out," said John Wink, first time customer. "It’s a new experience for me and it tastes delicious!" We recommend the blueberry ice cream with chocolate drizzle. 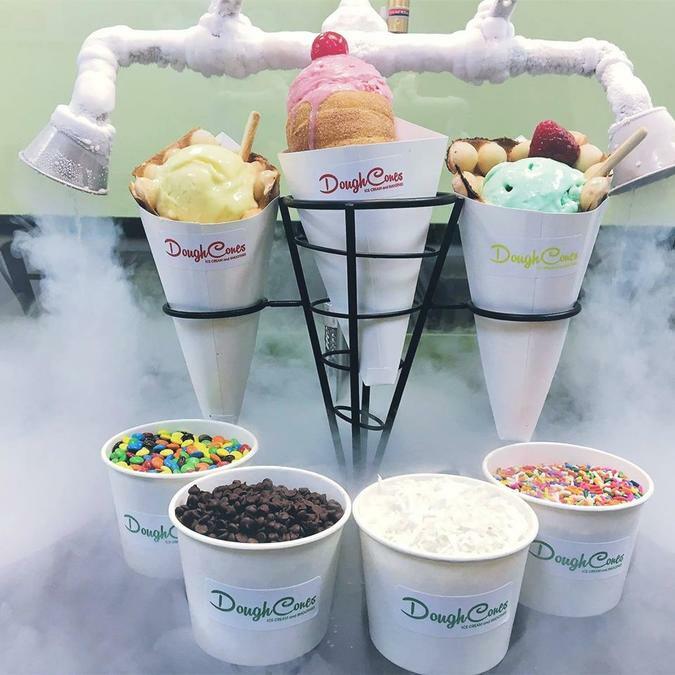 DoughCones Nitrogen Ice Cream is located at 11506 N. 56th Street in Temple Terrace and its open 11 a.m. - 11 p.m.
“Temple Terrace is a great area with great people. They deserve a delicious dessert spot over here and we're going to give it to them," said Hasan.